Sure feels like Summertime here in the UP, 80 degree days have been the norm lately. 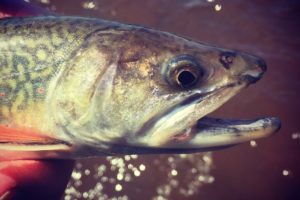 Hot weather has the Brook & Brown Trout fishing going well. 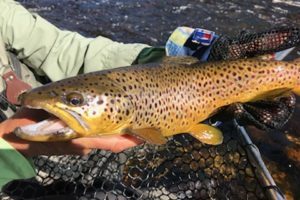 Some good bug activity has had some nice fish working for this time of the season. 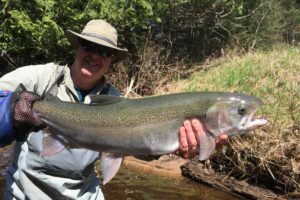 Still a few Steelhead around which have provided some fun days for our guests. Resent much needed rains have brought water levels up some, now they are starting to recede & drop back into nice shape. Finally it feels like spring is upon us here in the UP! 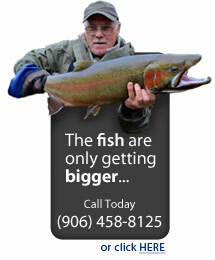 Some good Steelhead fishing opps are available across the region. 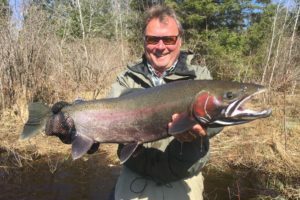 Some remarkable fish have been landed by our guests lately, big congrats! Still lots of ice out on Lake Superior which is amazing, seems like it isn’t going anywhere & could be here for quite a while. 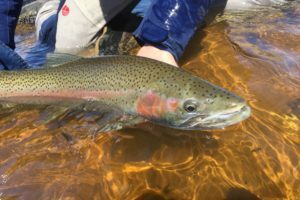 Some Stoneflies have been hatching on the warm sunny days, a few nice Trout have been sporadically rising. 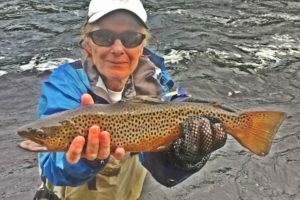 Latest spring ever, that could pretty much sum up this entire fishing report. Fishing is far behind schedule as our snowpack has pretty much just left us and there still is ice on our lakes. Lake Superior still has a good amount of ice on it as well, probably going to be out there for quite some time! 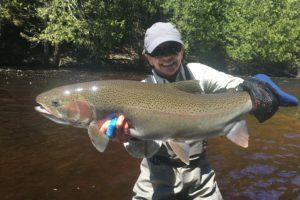 Some Steelhead are available, high water flows are making for some challenging conditions most places. 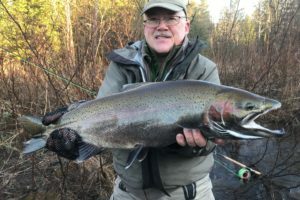 There should be Steelhead around for quite a while this year with all this late melt. 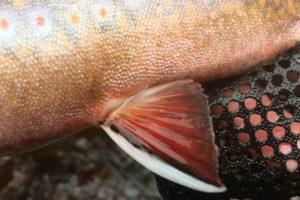 Once streams drop look for Trout fishing to get going as well. 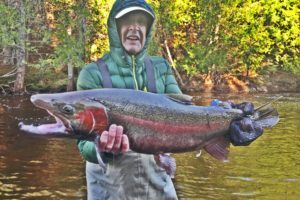 You are currently browsing the Rivers North Guide Service weblog archives for May, 2018.